Balkan Express offers for your skiing, snowboarding, cycling or surfing vacation the optimal off-road mashin ZIL 131 6X6 with a driver-guide in Bulgaria. 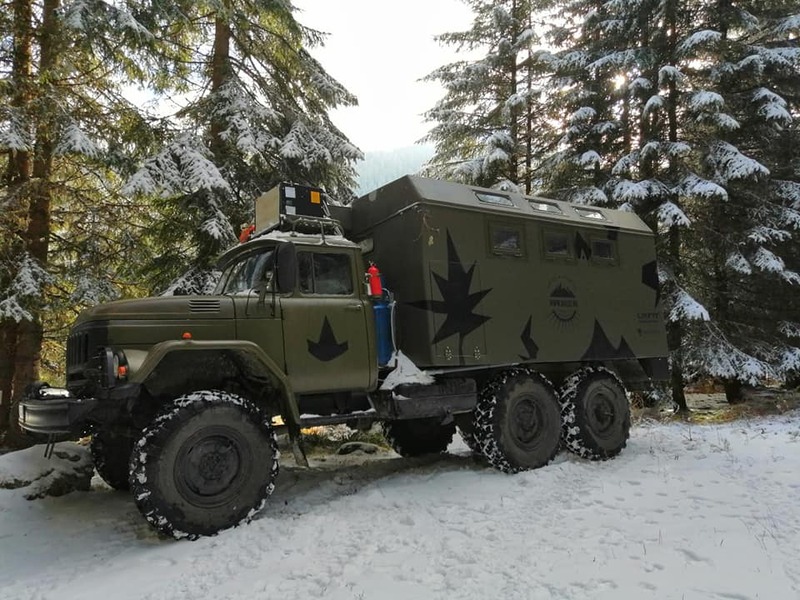 This machine allows the transport of up to 3 passengers and it is fully equipped as a camper- has two sleeping beds, a kitchen and a toilet with a shower. The price is per kilometer and does not include overnight stays and postage to the driver-guide.